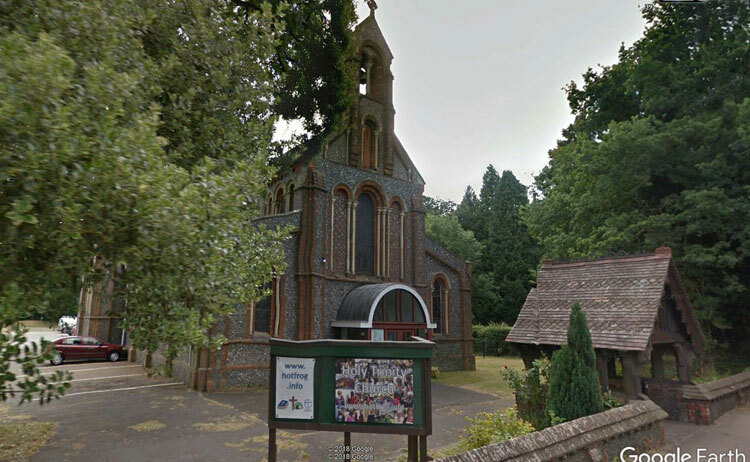 Frogmore is a village 3 miles (4.8 km) north of Radlett in Hertfordshire, and 2 miles (3.2 km) south of St Albans. 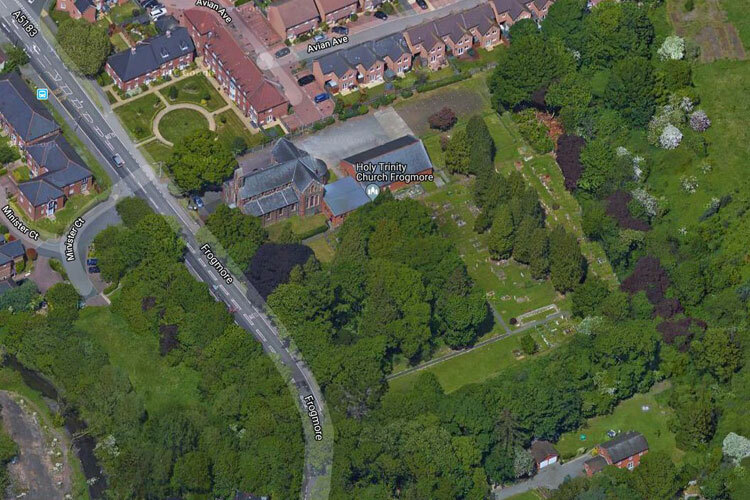 The burial ground for the Church of the Holy Trinity includes 12 Commonwealth War Graves, - 4 from the First World War and 8 from the Second World War. 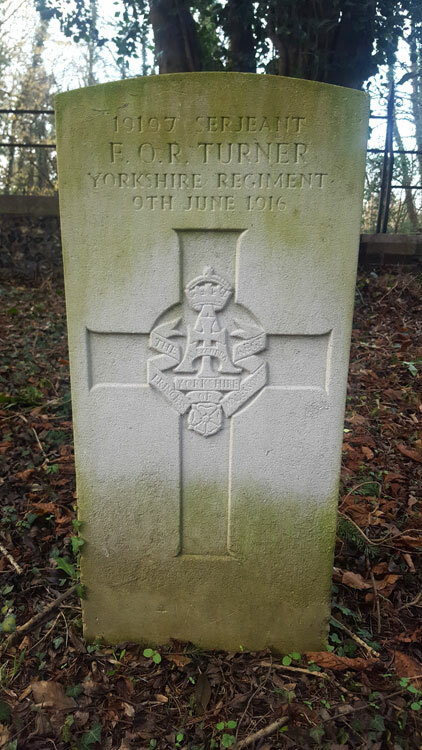 We are very grateful to Wayne Bywater (<waynetyke123@aol.com>) for the photo of the headstone. Serjeant Frederick Osborne Ricks Turner. 19197. 11th Battalion the Yorkshire Regiment. Died at home 9 June 1916. Born St. Albans (Herts), Enlisted London, Resided St. Albans (Herts).